Well... we ended up at the mall last night. We ate Chick-Fila, which Valerie loves. I let Val ride the coin operated rides. Walked around. I bought Veronica a few dresses. Not that she needs them because we have a ridiculous amount of clothes, but it is all hand me down stuff from Valerie. She deserves some new things. Besides, they are pretty dresses and they were on sale! At 8:00 we passed by the mall doors, and Valerie started crying. "it's night time! Time to go to bed. I want go home. I want go to bed." *sigh* I felt so bad, but what was I supposed to do?? We walked through Wal-mart to kill time. Then I drove around for a couple of hours. No where to go. Both kids were sleeping. So I just drove going no where.... Again, what else was I supposed to do???? WHERE was I supposed to go at that time of the night???? Finally about 11:00 I drove home. Kids tired, cranky, and crying. All the guys immediately packed up and left. Valerie cried and cried. It was 1am before she finally settled down. Clint told me later that some of my mom's group friends were looking for me... wondering where I was. Apparently they made plans to get together. Well... I knew they were doing something, but I didn't know any details. They haven't talked to me in MONTHS anyway. One of the husbands got a phone call from his wife telling him to ask Clint where I was. No one tried to call me. And Clint in his daze had NO idea. He had no interest what we were going to do or where we were going to go. All Clint could say was he didn't know. So, we spent the night all by ourselves. Doing nothing. So, that's that. It seems the guys had a good time, which is great. Hopefully now that Clint had some down time, he'll snap out of this funk he's in. Clint is in one of his moods again. You'd think the world has ended. I know we all have bad days, but life goes on. You still have to function. He is walking around in a complete daze. Three days of trash were piled up on my bakers rack. I had to start yelling for him to take out the garbage. That is the ONE thing around here that is solely his job. He cooked supper last night. Ate and jumped up saying he was going visit the neighbor. Leaving me to clean up the mess. We've had this fight so many times before. He walks away from the table with out lifting a finger to help clean up or pick up left overs. Leaves everything as is. WHY do I have to do it by myself every single night??? After another fight about him ignoring the mess, he took all the trash out since it was garbage day. Today is SATURDAY. I had to TELL him to take a shower this morning. The last shower he had was TUESDAY. Yes... Tuesday. TUESDAY!!!!! It's been a few days since he brushed his teeth on top of that. Attractive, eh??? I go outside this morning... the garbage can was by the garage. After all the fussing about him not helping, he 'forgot' to put the can by the road. Nice. I asked him to take Roni today because we were going to a birthday party. 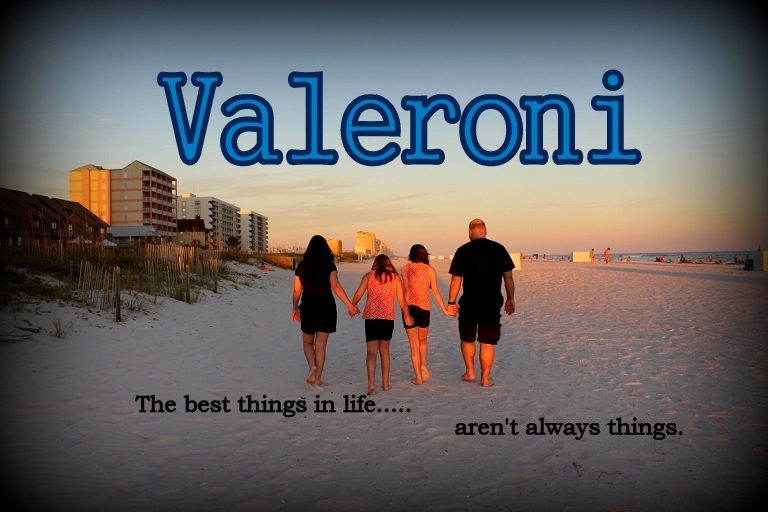 It would be much easier to just have Valerie. He mumbled something about moving the car seat. I said nevermind... I spent the whole party holding Roni (killing my back), trying to get food and drinks for them, chasing after Val, etc etc. Had nothing to eat or drink. Not even a bite of the cake I worked 2 days on. Not exactly fun. I have to take them everywhere I go. He goes everywhere whenever he wants. He could have taken Veronica just this once. Tonight we are hosting a Dad's night. Clint is in no mood to be a host for anything. I made him tell me this morning what his to do list was because he is so lost. I am NOT happy about having it here. It was supposed to be at someone else's house, but Clint made me ask about having a crawfish boil. So... it got put at our house since he suggested it. SO... tonight me and the kids have to go SOMEWHERE for hours. We have no where to go.. nothing to do... where am I supposed to go with a 1 year old and a 3 year old until 10 or 11 pm??? Drive around so they can sleep??? Another cake for a friend! Butter cake with half caramel pecan and half chocolate. My kid finds the weirdest things to play with. She's running around with this piece of string. Wiggling it. Wanting me to hold it. She took it outside. Even took it in the tub at bathtime. It is Herman the worm she says. Herman?? the worm?? I have no idea where she gets this stuff. Toys? Pbbbbbbt. Just give her a piece string and it becomes her best friend. Yes, I was a bit skeptical. Yes, I said it was one of those things we didn't really "need" or have a "use" for. We don't watch much TV I said. Easter was nice. Fairly quiet. We went to my mom's for Easter dinner and that's about it. Valerie was thrilled with her Easter goodies. Veronica didn't really notice, lol! The Easter Bunny brought Valerie a play golf set which is a huge hit. We have a TON of candy. A ridiculous amount of candy. I have no idea what we're going to do with it all... The kids don't need to eat that much candy and neither do I for sure!!! Today is Clint's birthday. The big 4-0!! I remember when 40 seemed so old... so far away. Clint seemed like a young 32 year old kid when I met him, now it's hard to imagine him a 40 year old man, LOL! I got him something he's been wanting for a long, long, time... a TiVo! I think we're probably the only people left who didn't have one already. He was surprised!! I also baked him his annual chocolate cake with banana filling. Clint took a day of vacation today, so we went to Copeland's for lunch. My mom and dad were supposed to come with us but changed their mind at the last minute. Kids were very well behaved at the restaurant for a change. After that, we just hung out around the house all day. The weather has been just perfect! The kids want to be outside all the time!! Valerie wants to be on her swing set all day. Clint patched the bounce house today, so if it holds that's something else to keep Val busy. It got popped at Val's birthday party way back in December, and he just got around to trying to fix it! I hope it lasts so I don't have to buy a new one. I wouldn't mind the girls wanting to be outside except that I can't get a darn thing done around the house. The house is a mess and I'm behind on clothes and dishes. Valerie is ok to be in the backyard for a little while by herself, but Veronica insists on being out there too! Valerie made the front page of the newspaper! Check out http://www.daily-review.com/! She's also in for the basket contest. I'll scan and post when I get a copy. Val's in the red shirt. That's my mom in the white shirt. I'm bending over, mostly hidden behind a little boy. My dad (headless!) is in the dark jacket, and you can see Roni's stroller. LOL! Yesterday was a great day. I took the girls to the annual Easter Egg hunt at the park in Morgan City. I have fond childhood memories of going to it when I was a preschooler. In fact, my mom decorated a basket for me and I won second place in the prettiest basket contest when I was 4 or 5! On a whim, my mom dug out the basket for Valerie. (WHO else but my mom would hang on to a silly basket for 30+ years!!) My mom spruced it up a bit with a new bow. We arrived at the park JUST in time. Valerie had a grand time gathering up marshmallow eggs and bunnies. They're not really "hidden", but tossed on the ground. The kids go nuts scrambling to grab as many as they can. It didn't seem as big as I remembered, but it could just be that it seemed "big" to me as a kid. After the hunt, we went over to the gazebo for the basket contest. To my surprise, Valerie won FIRST place! How ironic that my basket placed yet again... She got a HUGE chocolate bunny (which is completely gone already, YUM!) Val was on the Morgan City news broadcast last night, and they even mentioned the basket was 30 years old. Her picture will be in The Daily Review probably today or tomorrow. I'm tickled pink!! When we got back to my mom's yesterday, I opened the bunny and tried to break a piece off for Val. I had to grab a knife to cut it... and when I did, the face sort of crumbled. Valerie BURST INTO TEARS!! "Momma! You broke it!" She cried and cried. "Momma, why you broke my bunny!!!" OMG I felt so bad. But what was I gonna do... keep the rabbit for 30 years?! I asked her if she wanted to eat the bunny's eye. She laughed and said yes and ate his eye! And all day long she kept asking me why did I break her bunny and that she was sad. Geez!! But she wasn't too sad about getting to eat a bunch of chocolate! Next year will be Veronica's turn with THE Basket!!! Wednesday was Mom's Night Out at a coffee shop. I almost didn't go, but I was glad I did. Saw a few friends I hadn't seen in a while (Chasity!) I had a nice time overall inspite of some rude people. It's always good to get away and turn off the mommy mode for a couple hours. Friday was my dad's birthday. It's hard to believe he is 75. That just seems so.... old. Which I guess it is, but it's hard to think of my Dad as being old. The girls and I spent the day at my parents' house. I baked him a choc cake, of course! Saturday (yesterday) I did most of my Easter shopping. The Easter Bunny didn't get a crazy amount of candy, but then again he got a little too much just for "the kids". Oh well... it'll all be gone a week or two after Easter. I haven't been watching my diet lately anyway. Today we went to a family playgroup event at the park. We brought a picnic lunch and had an Easter egg hunt for the kids. It was a beautiful day to spend outside. We had a great turnout and Valerie loved having so many kids to play with. I was a little unhappy with how the hunt was done though. Two and under went first, but quite a few paid no attention to that and sent their older kids out anyway. Valerie is still too little to compete with 8 or 9 year olds. I saw many big kids with buckets full of eggs - 3-4 dozen maybe. Valerie got seven eggs total. I know it's stupid, but we brought 12 eggs and Val had very little time to get any eggs with the big kids grabbing everything up. Not really fair to the little ones.... but no biggie I guess. We had a great day. And we have another busy week ahead! Then, Clint wants to have a birthday bash for himself. That's fine.... it is his big 4-0. (but remember last year we did nothing for my birthday.) He's talking about having a crawfish boil on Good Friday. It's going to cost a fortune if we invite all the people he wants to invite. I'm trying to convince him to wait a week!! Easter weekend is not a good time for a party. I'm sure some people still have to work. Practically everyone we'd invite is Catholic, so if they're following the "rules" that means no meat on Good Friday... At least 4 people we'd invite do not eat seafood, myself included!! There is NO WAY I'm going to do ALL the prep work for a party and NOT have anything to eat!!!!! We'd do an egg gumbo or something on the side... but still!!! If he'd wait until the following weekend, we could BBQ in addition to having crawfish. We wouldn't have to get just crawfish for everybody, so it'd save some money, and maybe we could include a few more friends!? We got back home yesterday afternoon. I won't lie... I wasn't happy about being there. It was cold. I was pissed about being cold. Pissed that my KIDS were cold. Veronica's hands and feet stayed ice cold all day. We walked our 2.5 miles. My back was KILLING me (still is.) I have no idea why Clint thought Valerie would walk that far. He ended up having to carry her. We were dead last. And I mean DEAD last to finish. Valerie kept asking what happened to all the people. Yes... we were that behind. Clint told me he was a team captain, so that is why he had to go to the walk. Well, one person talked to him when we got there. There was no "team." The only thing he did was turn in some raffle tickets and money, which he could have done that on Thursday when he went to the office. Then we could have saved a $100 on a hotel, and arrived at the fun day at a decent (warmer) time instead of rushing there at the crack of dawn. But even so, the fun day wasn't as nice as usual. It was cut way back. The bounce houses were set up under trees in the shade. It had stormed Friday, so shade = mud. All these kids were running around with no shoes in wet mud. Valerie included. The food was so-so. We actually took the girls to McDonald's on the way home because Valerie refused to eat anything all day. Clint admitted when we got home that it was too cold to have the kids out there. Exactly the point I was trying to make all along!! The more I think about it, the more ridiculous this weekend trip seems. Clint has been telling me the walk was at 9:00 or 10:00. Ummm I checked and it's at 8:00am. We'll have to drag the kids out of bed by 6am so that we can have time to get all of us dressed and fed and be at the park for 7:30am for check in. AND it will be 40 degrees. Maybe it's me... but does this sound like something beneficial to the kids who have been sick for three weeks?? And HOW is walking a couple miles going to change anything?? It's the money raised ... not the actual walking... that makes a difference. So, we are spending $100 on a hotel room so Clint can be there to attend this walk. WHY not forego the walk, hand them a $100 donation....?????? THAT would be more beneficial than blowing $100 for nothing. Then we could show up at the FUN DAY part, and actually have FUN for FREE and still do our part for JDRF. But no..... we are all being forced to attend this walk at the crack of dawn in the freezing cold. Last night I was making Veronica laugh, and to my surprise when she opened her mouth she has not one but TWO molars peeking through her gums! Well, that explains her fussiness. To think she had the flu and those big teeth on their way out at the same time. I can also see bumps where 4 more front teeth will soon be.... ouch. I'd say Veronica had a great birthday. I took the girls to the mall for the day. Valerie got her first real haircut, which I am not impressed with at all! The girl didn't cut enough off and her bangs look crooked, but she does have weird hair so it could just be how it falls. The girls had their picture taken with the Easter Bunny. Valerie was thrilled to death. Then we did some shopping. Dillards has a great clearance sale on winter things, so I picked up some really nice clothes for them for next fall CHEAP. $50 outfits for $12!! Lunch was at Cuco's. Both girls were well behaved and ate their food. I checked out the sale at Penny's on our way out, and I got Val and Roni each two matching sundresses for $9 each. Veronica was happy and babbling the whole time at the mall. Towards the end of the afternoon, she was getting tired. I reclined the stroller and she went right to sleep. Worlds away from the Veronica we knew a year ago!!! We are going to Lafayette tonight and tomorrow for the JDRF walk and Halliburton Fun Day. I am really not into going. I'm dreading it almost.... I'm so tired. We've been so busy, and I'd love to stay home and do nothing!! I don't feel like packing a ton of crap for one night. I'm not looking forward to spending the night in the hotel with two restless kids. Or spending money we don't need to spend. Tomorrow it's going to be freezing cold, and we're supposed to do a 5K walk early in the morning and be outside all day. Brrr. I am so not in the mood for this. Happy First Birthday to my sweet baby girl, Veronica Leigh!!! Love you bunches!!! Party pictures... for those who are interested! Happy (early) Birthday to my sweet little girl! Today was Veronica's birthday party. It was perfect! Small, quiet, and simple. Just the way I wanted it to be. Roni STILL isn't feeling like herself though, so she was a bit fussy. Or it could have been she's not used to being the center of attention! She had a great time playing outside after the cake and presents were done. Now I am just waiting to hear "I wasn't invited!" through the grapevine. Well, I think it's no secret Veronica did not handle crowds well for a long time. Although she is pretty much over that, I saw no point in having a noisy house full of people and older kids she didn't know well. Plus, with us being so sick in the past week, it really was not in our best interest to plan a huge party anyway. I never really thought about it, but I've come to realize that people who don't bake have no idea what actually goes into making a cake. Not just a plain cake, but a pretty decorated one. Not the ingredients either! I mean the time! Hours... days even. Long ago somebody complained to me that they had gotten a quote of $30 for a birthday cake. I know for me, that would take at least two days. One day to bake, one day to decorate. If I had to make flowers or bows, etc., that would be done in advance, so add another day. $30 isn't much for something that is worked on over three days! Although I usually just ask for enough to cover the supplies, which can vary depending on what I have to buy. I do it more for the practice than anything. It's a lot of work. Not that it's hard, but it does take a lot of time, which is mostly what you're paying for when you buy a cake!! So... just remember that the next time someone charges you $50 for a cake! !